Where are we on that scale? I will say, if we are on that scale at all, it is a good place to be. But what does it take to get to the place where knowledge so fully replaces faith that when the Lord commands, we feel an overwhelming desire to follow? I’m not exactly sure, because I’m not there yet, but I have hope that one day I will be. I take comfort that it took even Nephi two whole books of scripture to get there. I think part of the key comes in the vision of the tree of life and where we group ourselves. I think it is of interest to note that everyone that was on the path toward the tree of life, or the love of God, gets caught in the mists of darkness. It is a byproduct of living in this world, but what defines us, is how we deal with it. So what group do we fall in? Are you pressing forward, but only clinging to the word of God? And once you partake of the goodness of God, are you ashamed? Are you purposely trying to make your way to the great and spacious building? Are you pressing forward continually with steadfastness, holding tight to the scriptures? I would like to say I always fall in the last category, but that wouldn’t be true. Sometimes I find doubts creeping in, or the lure of the world gets to me. Or sometimes, life is just plain hard and I want to sit down on the path and cry. But one thing I do know is that there is safety staying on the path. There is a protection that comes from holding onto the word of God. Even in the midst of our doubts, and swirling mists of darkness, if we hold on, the light does come. The Lord will manifest himself in our lives. And if we keep on the path, I believe that, like Nephi, our faith becomes knowledge. Our desire to keep the commandments becomes an absolute need to make sure we never break them because we know. Press forward implies something more than simply going forward. Press implies something is preventing your advancement, and you must push through it. To go forward in this life, you must press temptations aside, press through obstacles, press the doubt and the fear under your feet, and embrace the divine qualities of faith, hope, and love. How do you press forward? Nephi answers, “Ye must press forward with a steadfastness in Christ, having a perfect brightness of hope, and a love of God and of all men” (2 Nephi 31:20). Pressing forward with steadfastness in Christ means having faith in Him. It means making Him the central focus of your thoughts and actions. When it is He you are following, pressing forward is the ultimate adventure. Pressing forward means pushing away the “temptations and cares” of the world and keeping the commandments with exactness. “If ye love me,” Jesus said, “keep my commandments” (John 14:15). 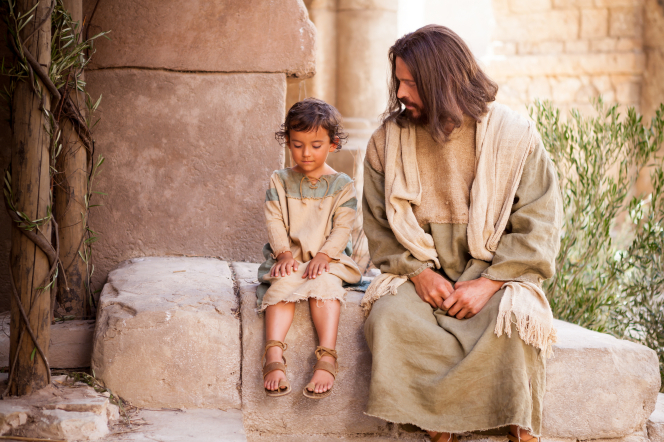 Nephi adds that with our steadfastness in Christ comes a perfect brightness of hope and a love of God and all men. Hope smiles brightly before us. We find peace even in difficulties. Discipleship allows us to see our true purposes on the earth. Those purposes center in helping our family, those we love, and those around us. They include building the kingdom of God, and as we do, we become who we should become. Nephi tells us that we must press forward, feasting upon the words of Christ. He tells us that with the gift of the Holy Ghost, we can speak with (and understand) the tongue of angels (see 2 Nephi 32:2–5). I know this voice. It is a voice we must continually be ready to hear. But no matter where you fall on the path, or in your faith, remember there is always a way back. That is one thing I know for sure. April 29, 2016 in Beliefs, Book of Mormon, Christ's Atonement, Commandments, Struggles (Divorce, Infertility, Children, etc). I love the “pressing forward” vision that is taught in the tree of life. It is easy to slack off and want to take a break, but that’s when we endanger our spirit. Pressing forward even when life is hard (probably especially when life is hard) will bring us the ultimate happiness. I also agree about the repentance part. It is never too late to return to the path and try again to press forward with more faith. God welcomes us back with a smile; he never tells us “I told you so.” He is just eagerly waiting to embrace us and give us peace again. Thought provoking. I think too often I know, so I must. I need to press forward! Excellent post, Jennifer!